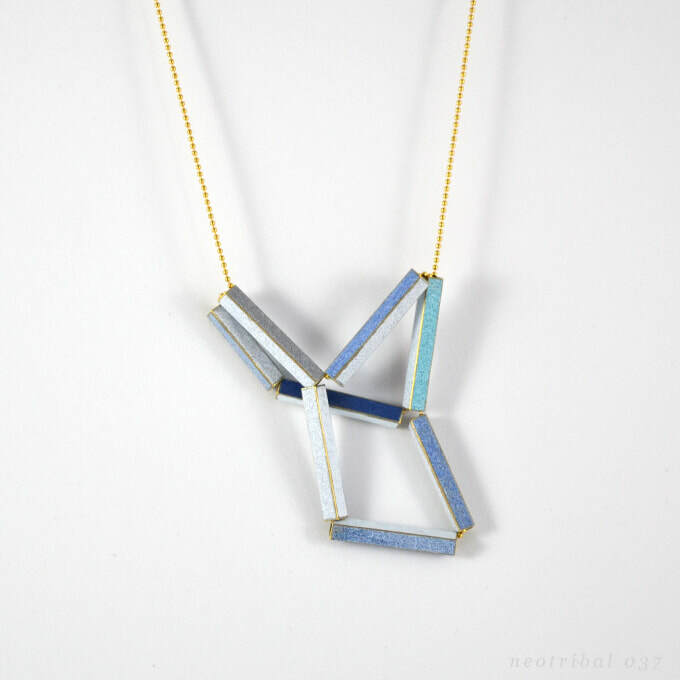 The Neotribal necklaces are a byproduct of a color study about manual powdercoatings / coldenamel. The square brass beads are coated manually in different shades. While wearing the necklace, the beads shift sides, dynamically changing the color and appearance of the composition. 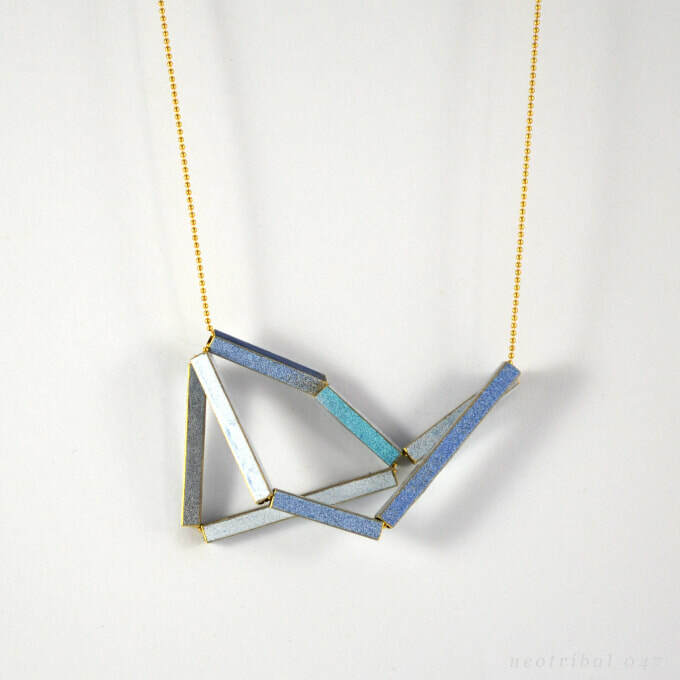 All Neotribal necklaces are lovingly handmade in our studio, making each piece unique. 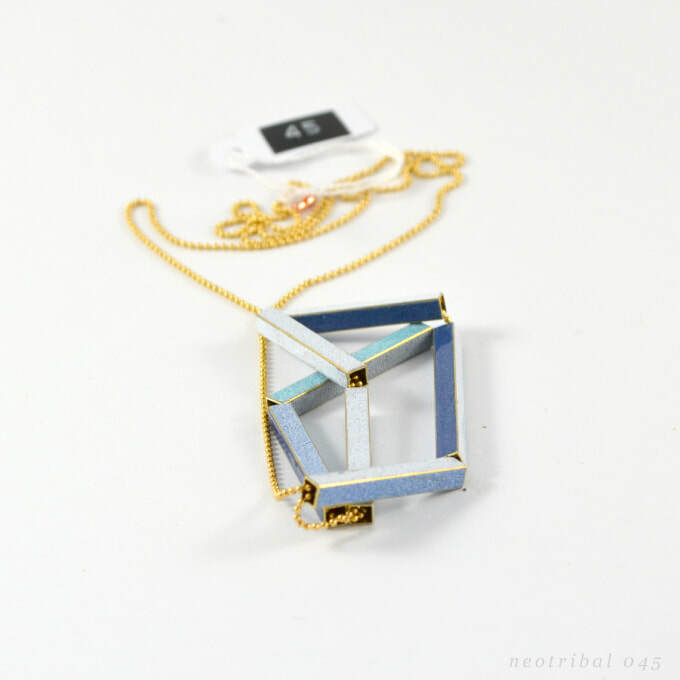 The enameled brass comes either in varied shades of pastel or shades of white/blue/grey, and the necklaces come in a white cardboard jewelrybox.